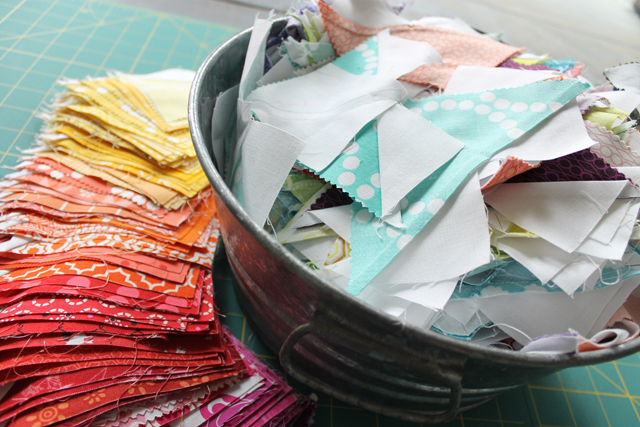 So I’m in the middle of piecing a really fun quilt right now…a yummy rainbow of colors, and a ZILLION flying geese units! 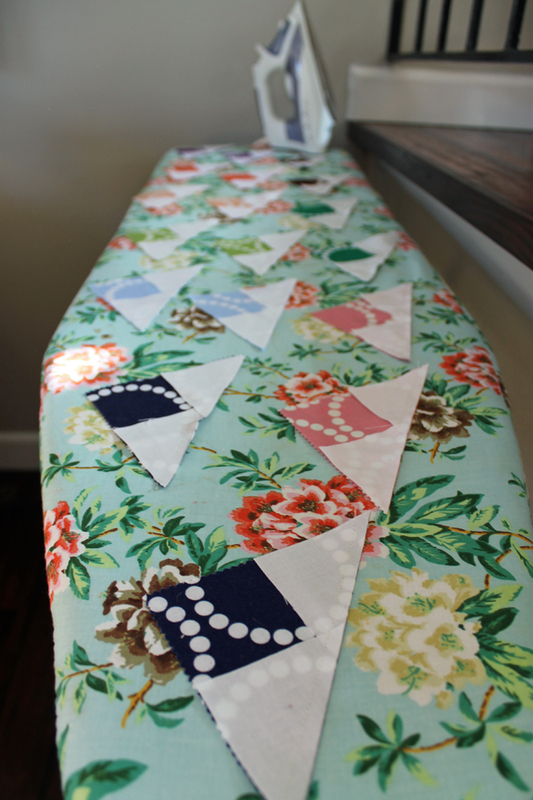 I’m so excited about how this happy quilt is going to turn out…if I can ever finish it. 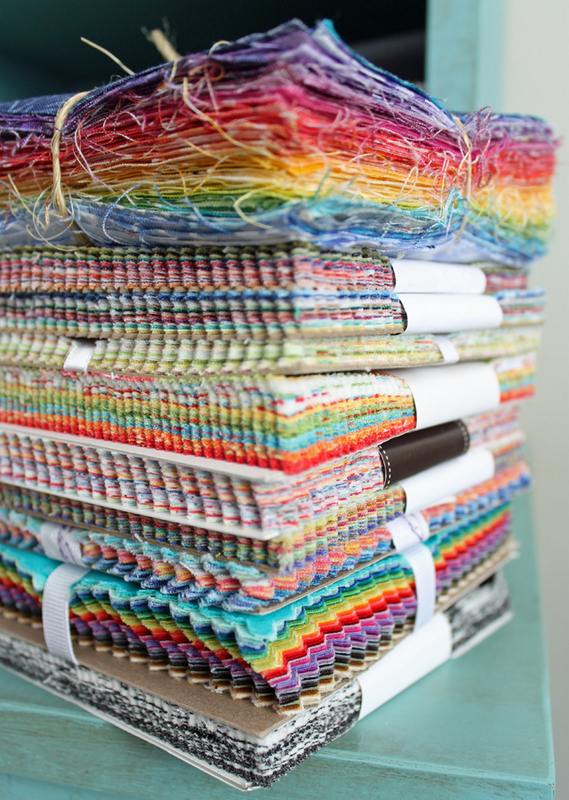 The inspiration came from fat stack of charm squares I acquired in a rainbow swap a couple of years ago. They’ve been just sitting on my shelf, batting their eyelashes at me for what felt like eternity, and finally I couldn’t take it anymore. Must use those charms! So since I seem to be up to my eyeballs in flying geese, I thought it would be fun to share a nifty little tutorial with you today! 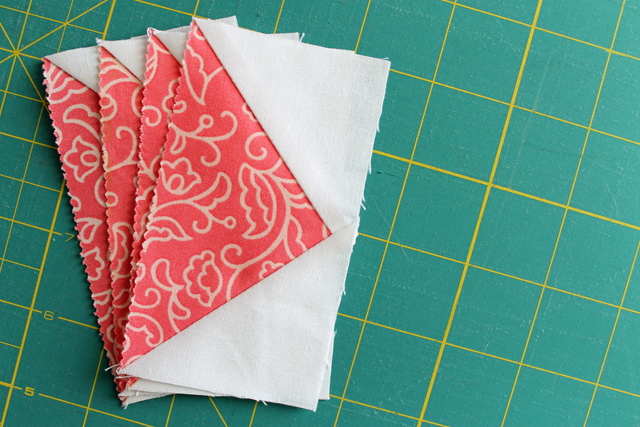 For this tutorial, I’m going to offer instructions on how to use the 4-at-once method to make flying geese from 5″ charm squares, but you can most definitely use any size squares to make 4 units at once. Let’s start with a little bit of math, so you understand how to recalculate the cutting measurements for use with any sized squares or units. 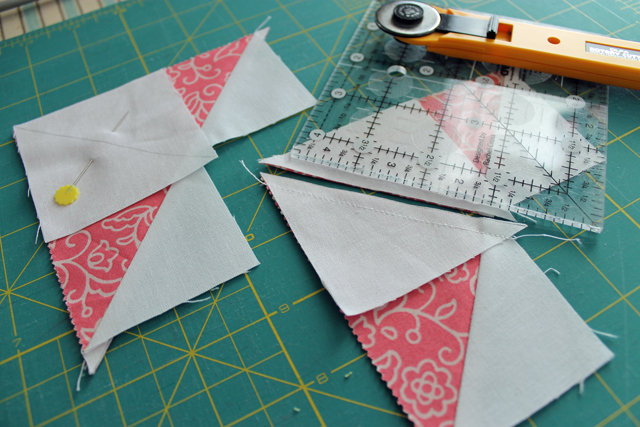 If you just want to stick to 5″ charm squares, you can skip this geeky bit and get right to the cutting! So for example, if I want flying geese that measure 5″ across, I would need to start with a print square that is 6.25″. For my project, I didn’t really care what the finished size was, but I did know that I wanted to start with 5″ charm squares, so I had to whip out my dusty old algebra skills and reverse this equation. 5″ minus 1.25″ = 3.75″, so I know my finished unit is going to measure 3.75″. Remember, this is the finished length. The unfinished length, or the raw size of your flying geese before you stitch them to anything else, will be 4.25″. Again, this number didn’t really matter to me as I my focus was on the starting square size rather than the finished size, however it did come in handy in terms of designing my entire quilt, and calculating other patches to fit with my flying geese. It’s helpful here to know that the finished height of your flying geese unit is always going to be half the finished length of the unit. So, to find the finished height to plug into this equation, we’ll take our finished length of 3.75″, and divide this by 2, giving us a finished height of 1 7/8″. So we simply add 7/8″ to determine the size of our smaller squares: 1.875″ + .875″ = 2.75″. So to cut to the chase, we’ll need (1) 5″ charm square with (4) 2.75″ background squares, and this will yield 4 flying geese units. 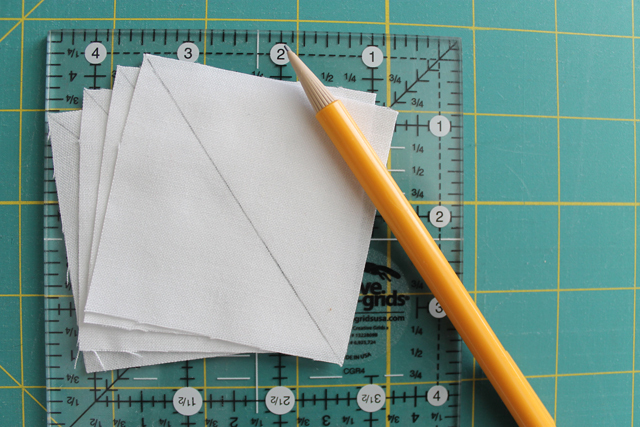 Once you’ve cut your pieces, use a ruler and a pencil to draw a diagonal line, corner to corner, on the wrong side of all of your smaller squares. 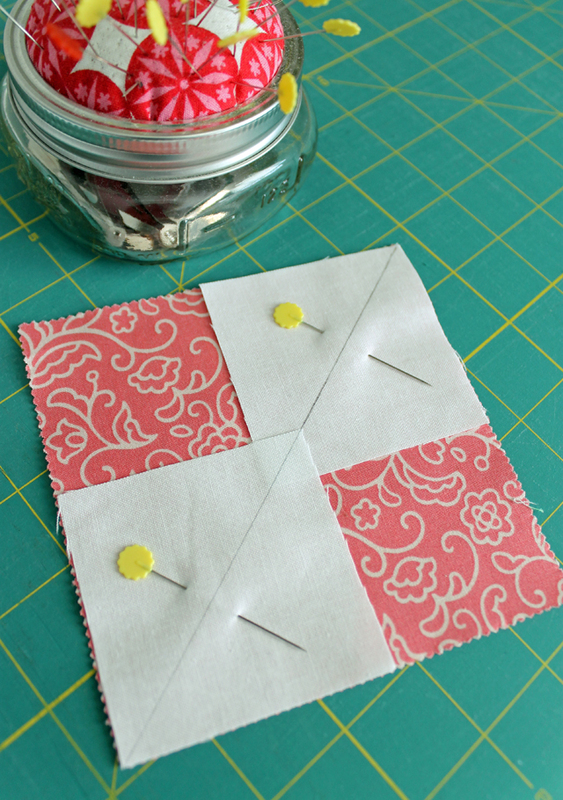 Next, take 2 squares and align them on your charm square as shown below, right sides together and on opposite corners. Pin. Now stitch a 1/4″ seam on each side of the drawn line (not on the line itself), then cut the unit in half on the drawn line. Press the flaps open and you’ll now have 2 cute heart-looking units. We’re half way to 4 flying geese! Take your remaining small squares, and align them on the 90 degree corner of each print triangle, right sides together, so that the drawn line is pointing toward the 90 degree corner of the unit. Pin, and just as before, stitch a 1/4″ seam on each side of the drawn line, then cut the units in half on the drawn line itself. Press open, and voila! 4 identical flying geese units! It’s so quick and easy! 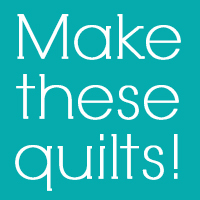 Now I’ve heard mention from other quilters that they don’t prefer this method because it requires a lot of switching back and forth between sitting and standing, which can be tedious ….pin, stitch, cut, press, pin, stitch, cut, press, and I have to say, after making about 600 of these units for this quilt, I couldn’t disagree more! By simply approaching your piecing as an assembly line, rather than concentrating on starting and finishing each unit before moving on to the next, you really eliminate the “up down” factor. In other words, do everything in large groupings by step- pin all of your units (for your entire project) at once, then sit down and chain piece them all at once, then cut all of your units at once, and so on. This makes for a much more efficient process, that in my opinion, is nothing short of therapeutic! Well, there you have it! Thanks so much for stopping by and I do hope you’ll give this method a try! 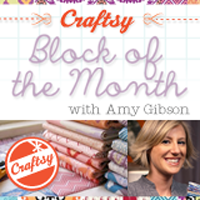 For those of you eager to hear the winners of this month’s Sugar Block fabric giveaway, stay tuned- I’ll be announcing them on Facebook and Instagram later today! Very nicely written, and yes I love this method of making flying geese! Maybe that is what I will do with some of my charm packs. Thank you Amy for a great tutorial! I will definitely give this a try. Thank you for explaining the math! I have a distant project in mind using flying geese and wanted to make them 4 at a time, but didn’t know the measurements. 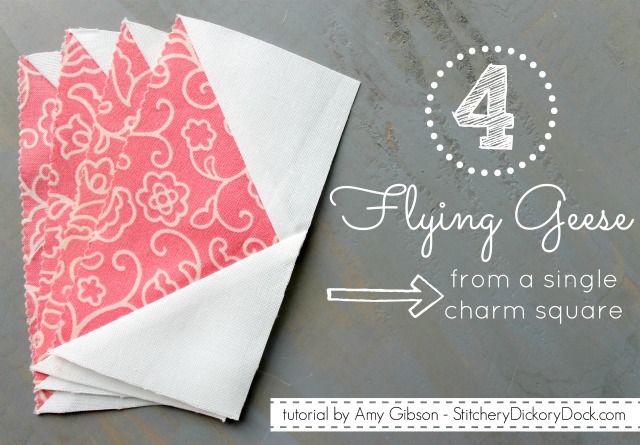 Thank you for sharing this flying geese method, Amy. It is by far my favorite way to make them and I always get excellent results. 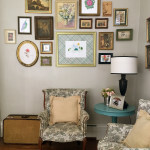 I love the jar pincushion too in one of the pictures – very cute. LOVE that this tutorial makes MULTIPLES! I will have to try it. I love to make progress quickly. 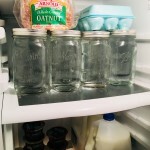 Leave it to a mother of twins to have this little trick! ; D Thanks!! Recently tried this method and I loved it. I think it’s my favourite for flying geese. What a pretty ironing board cover. I’m sure it is an AG original! Thanks for another great tutorial. Just the technique I have been waiting for to make flying geese! I hate waste and love that this is no waste. Thanks so much for sharing. I have a stack of rainbow charms too. 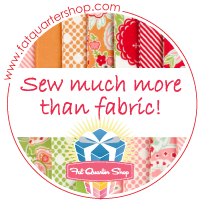 What quilter doesn’t?!! When I sew, I keep my ironing board right next to my machine (lowering it to a level that is comfortable to use while I’m seated). I place a smaller cutting board on one end. This way I have a spot to cut and a spot to iron. Then all I have to do is swivel in my chair to cut or iron as I go. Thanks for sharing this tutorial! Can’t wait to give it a try. Great tutorial! Thanks so much for sharing! Thank you!!! I’ve seen that method before, but never knew the math. What a great method! 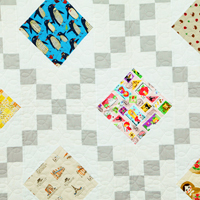 I love that I also now have a great inspiration for how to up all those charm squares I’ve been hoarding and make a fabulous scrappy quilt. Thanks for sharing this! Thank you for the great tutorial. I appreciate how you described the math to calculate different sizes. I found you on craftsy last week and love your teaching! Am going to give this lesson a whirl. Thank you very much! 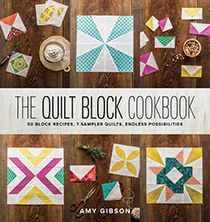 Thank you Amy, I always love learning new things from you and I think I am going to do this…I have a ton of Charm squares. I am making quilts for my sisters (4 of them) and love using your methods. Fabulous tutorial – thank you!! Thank you for the tutorial! I have wanted to try flying geese before but it seemed too fiddly for me. I think I can do this! 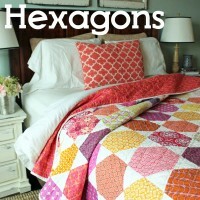 I love a rainbow colored quilt. Can’t wait to see how yours turns out! Thank you for explaining the math – it was always a wing and a prayer when I was making up my own flying geese!! I will be saving this post for sure!!! I’m in the middle of a Crown Royal quilt right now that I’m making for a coworker. He’d been collecting these CR bags since college and gave me a reusable shopping bag full of time. They were all sizes from airplane liquor bottle size to what seemed like gallon jugs. And the pattern we chose is a purple CR center square with 4 flying geese units around it with a gold batik center triangle and purple wings – the purple being cut from the CR bag. I thought “easy enough”. HA OMG….I neglected to realize that CR bags are not square – they have rounded bottoms. The bags he had enough of to make like-sized center squares would only make a 4.5″ square so I made all the FG units one “wing” at a time, since they didn’t work with either of my FG template rulers. The purple felt and gold thread melts on my Rowenta, the seams are wonky, and honestly this is the most labor-intensive quilt I’ve ever attempted. I hate it and can’t get it out of my life soon enough. I stopped at a little quilt shop a couple of weekends ago and lamented to the owner. She suggested I use a featherweight or lighter interfacing on the back of the quit top to keep it from pulling apart on the long arm. There are 25 FG squares and I wish I’d known of your tutorial sooner. They are done but now I’m laboring through sashing with CR cornerstones. This thing is a mathematical nightmare and the bane of my existence. How on earth do I figure out what to charge this guy? He’s already given me $150 in installments and that includes materials. Due to several charm swaps, I’m also drowning in charms! I think this will be a great way for me to stash bust my charms, thank you for the tutorial!! I have a large stack of charms that need to be used up too – thank you for the idea AND the great tutorial! 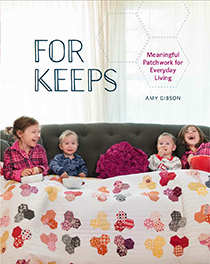 Hi Amy, I was reviewing your Craftsy BOM this morning, looking for quick and easy, that quilt is one of my favorites. 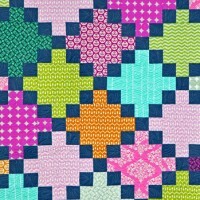 I love traditional quilts so I am sure I am going to really enjoyThe Sugar Block Club. 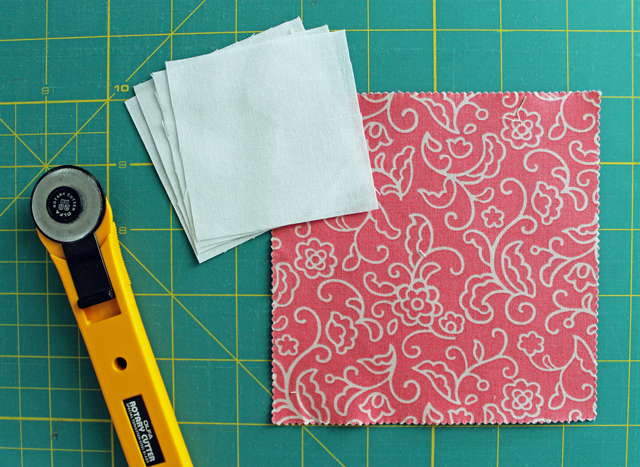 Your quick tips are such a help, quick, quick, more quilts! 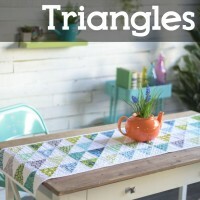 Nice tutorial..buy hey…love the ironing board cover! Thanks for doing the math for the charm squares – I’ll also say – this way has no waste which is great for stretching a charm pack which is why I was looking for an example of this method for a 5 inch charm pack I’m looking to use. Thanks for laying it out so clearly! 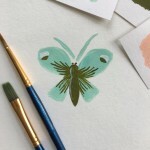 Wonderful tutorial — just want I was looking for — I have several charm packs that needed a project!! 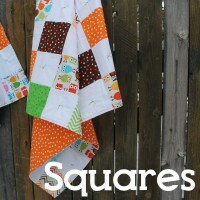 How big should I make my larger square if I want to use my background squares 2.5 inches each? 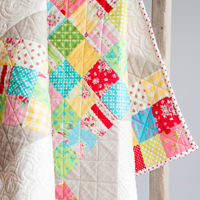 As an amateur quilter I’d love to hear where to go from here-especially any shortcuts! Thanks for explaining well for people like me to get started! 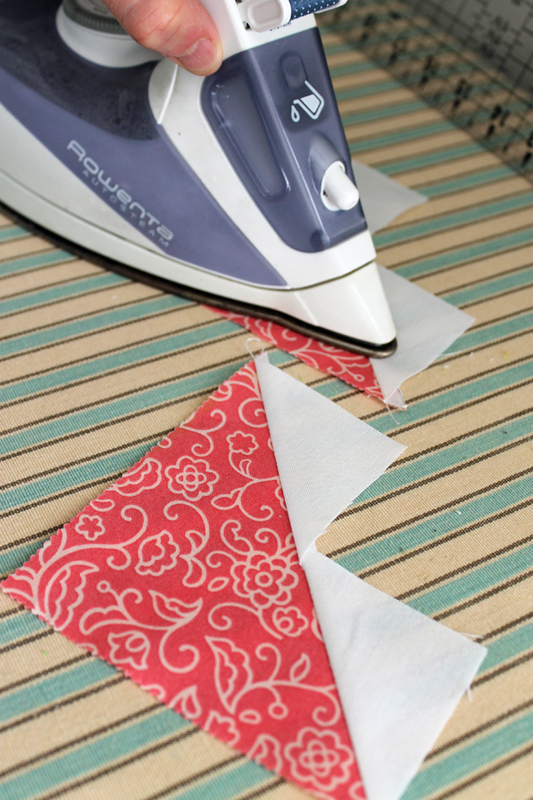 I love that there is not wasted fabric using this method. been there, done it before and it is fantastic. also another is folded rectangle inside a longer one and sew the fold. open and flatten the goose! they are really flying that way! takes more fabric but your way is thrifty! 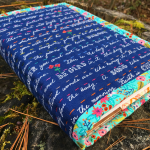 I’ve always wanted to make a quilt with flying geese; now I don’t have any excuses not to! Thanks for this great trick! That is the best instruction I’ve seen. Will try it today! Help, the tutorial was great – I understand how to use the process – I’m having trouble with the numbers. My block needs to be 6 1/2 x 3 1/2 – I need to cut my first fabric two pieces into 7 1/2″ sq. and the other eight pieces of fabric into 4 1/8″ sq. Does this sound right? Thank you for the tutorial with charms. 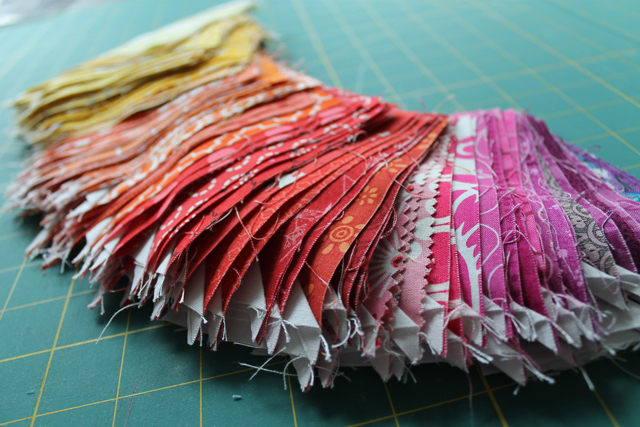 I have a number of scraps cut to 5″ and 3″ so I foresee some geese in my future. Can’t wait to see the quilt you create. 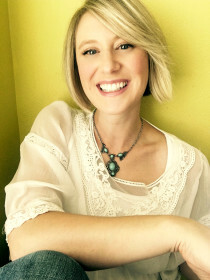 Hi Amy – first LOVE this tutorial. 2nd is my math wrong? I used your calculations above but my geese were way too big. I needed a finished long side of 6 1/4, so I cut a square 7 1/2″. I made the 4 corner squares 4 3/8″ as the finished height would be 3 1/2″. All my geese came about 1/2 to 3/4 too large. I am trimming them to use, but did I mess up somewhere? Thanks! Thank you! I have been wanting to work with Flying Geese and been afraid! You have removed the fear! I can not wait to try this method very soon! I too think/work assembly line style! Hopefully, this won’t be a dumb question but this ALWAYS confuses me. When you say “finished length” you said it was the size AFTER sewing it into the rest of the quilt. And this “finished length” is the number you use when you’re calculating the size to cut. So the “unfinished” size would’ve been 4.25″ in your tutorial. Am I understanding this correctly? Because I never know what quilters mean when they talk about the “finished” size. I always thought it meant when you were finished with the particular technique. So you’d have to add an additional 1/4″ on each side. The math for flying geese is a very nice tutorial to have. 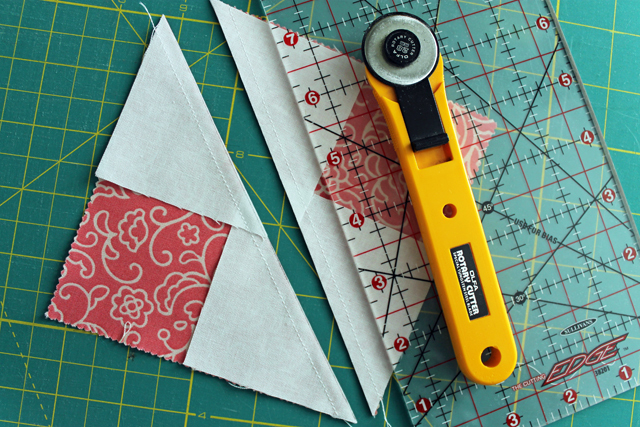 Thank you for demystifying the flying geese used in so many quilt blocks. My sister sent me the URL today. I read your blog, but I did not find it under your tutorial heading. It is very useful information. Thank you. I have commented on this post a while back about being excited to find the tutorial. Well, I have used it many times and it has become a go to when sewing. It’s easy and a wonderful scrap buster. Thank you and I am starting a new “scrappy soul” quilt and will put this to good use. Love your instructions and insight! Very cool! Thanks so much for sharing. This is great. Now I understand what I should have learned in junior/high schooll math classes. Will put all those charm square pack to good use. Thanks again. I can think it either. As a girl, this thread is horrifying! This daily purpose updates just about every 10 minutes and it is reset at midnightPacific Time (6 hours, 42 minutes from now). I believe your belief in an underclass reveals lots about your personal perception of your underclass. I personally wouldn use that phrase, because it really is a myth. It doesn suggest something. Finest friend roommate commits suicide in our apartment. Deep depression. Ruin all relationships all over me. If I coping with an expert, I want colors for being taken care of using a specified exactness. Colors genuinely can genuinely have an actual description, today. The education industry was liberalised, and apprenticeships removed through the responsibility of the government, which meant that there were not the exact same structural incentives for employers to train their staff members. This every day purpose updates every 10 minutes and is reset at midnightPacific Time (9 hrs, 33 minutes from now). On that note, don wear a fedora. I don care if you ever a guy, woman, or furry. Don be that particular person. Greeting through the Mississippi Gulf Coast! Come get cancer or some other illness from fresh caught fish, a minimum of it not Ebola!